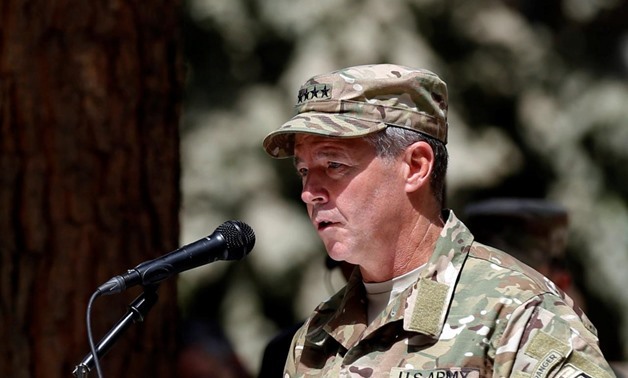 U.S. Army General Scott Miller assumed command of NATO forces in Afghanistan on Sunday, arriving as Washington faces growing questions over its strategy to force the Taliban into talks to end the 17-year conflict. Miller, former commander of the U.S. military’s Joint Special Operations Command, takes over at a time of mixed hope and fear for the Western-backed government in Kabul. “To be successful, we must continually learn and adapt to the enemy and the environment,” Miller said at a change of command ceremony at the headquarters of the NATO-led Resolute Support mission in Kabul. The United States is now a year into its strategy of stepping up pressure on the Taliban by increasing airstrikes and sending thousands more troops to train and advise Afghan forces, but clear signs of success have so far proved elusive. Civilian casualties are running at record levels, there have been repeated attacks on major cities such as Kabul and Jalalabad and while the Taliban have not managed to take any major urban centers, they control large areas of the countryside.